If you are interested in joining any of our ministries, please contact the parish office at (910) 457-6173. The Ancient Order of Hibernians is America’s oldest Irish Catholic Fraternal Organization founded concurrently in the coal-mining region of Pennsylvania and New York City in May,1836. The Order can trace its roots back to a series of similar societies that existed in Ireland for more than 300 years. 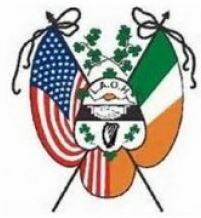 Today the AOH exists in America, Canada, Ireland, England, Wales and Scotland, however, while the organizations share a common thread, the American AOH is a separate and much larger organization.The early Irish societies were born of a need in the mid-fifteen hundreds to protect the welfare of fellow Irish Catholics, and especially the clergy who risked immediate death to keep the Catholic Faith alive in occupied Ireland after the Penal Laws of 1691. These various secret societies were formed across the country to aid and comfort their people by whatever means was available. Similarly, the AOH in America was founded at New York’s St. James Church on May 4,1836 by men emulating these Irish societies, to protect the clergy and churches from the violent American Nativists who attacked Irish Catholic immigrants and Church property. At the same time the vast influx of Irish Immigrants fleeing Ireland’s Great Hunger in the late 1840’s, prompted a growth in many Irish societies in the USA – the largest of which was, and continues to be, the AOH. Our gatherings are every Wednesday at 10:00 am. 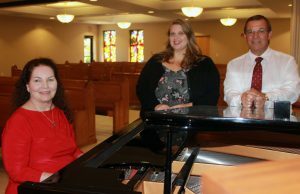 A new group will begin September 5th at 10 a.m. Meetings are every Wednesday from 10 a.m. to 11 a.m. at the church. Please contact Barbara Scholz to register or for more information, email: barbarascholz0@gmail.com; phone number 843-301-9380. 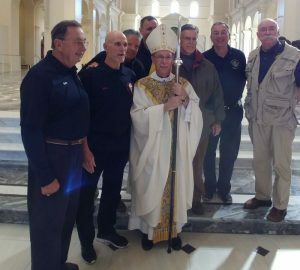 The Knights of Columbus is the world’s largest lay Catholic family service organization. 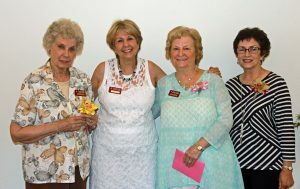 We as members of the Sacred Heart Council focus on developing programs that best serve the needs of our local community. All the good works are driven by our four core principles of charity, unity, fraternity, and patriotism. We are a band of brothers, more than 225 strong, doing good in the service of God, our parish, and our neighbors. We also encourage all parishioners to visit our website at www.kofc12537.org to see news, photos, and details of our activities. 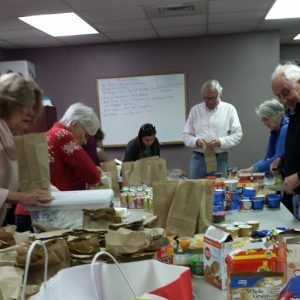 Are you interested in helping those in need, serving your parish and growing in your faith? Discover how easy it is to make a difference in your life and that of others! Please contact Greg Antolak, 910-527-5456 for more information. 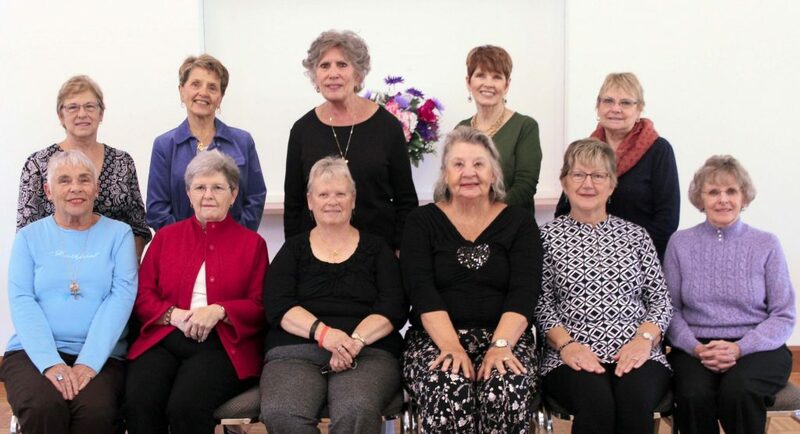 The purpose of Ladies Guild is to provide fellowship to the women of the parish at our monthly meetings and at fun activities throughout the year & to provide service to the parish and local agencies in need. We’d like to ask all ladies of our parish who are not already members to join the Ladies Guild. It’s a wonderful way to give back to our parish and to set a good example for your children about church involvement. 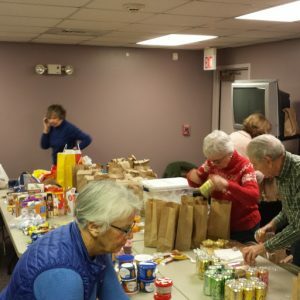 Join with us and help us help others in our parish and community! 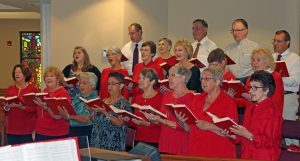 We have ten regular monthly meetings (September-June), the first Monday of the month* and sponsor many fun & worthwhile events through out the year. Please call the Parish receptionist @ 910-457-6173 and leave a note of interest for Shelly Keenan’s mailbox. Our parish takes pride in beautiful liturgies that help us turn toward God. This takes coordinated planning, practice and participation. Eucharistic Ministers help distribute Holy Communion and take Holy Communion to parishioners who are unable to attend Mass. Lectors read the Scripture passages prior to the gospel. They also recite petitions for the Prayer of the Faithful. Ushers welcome parishioners to our parish, seat worshipers at the weekend liturgies, collect the offertory contributions and aid in the flow of communicants. Altar servers assist the Priest during Mass and other religious ceremonies. The Pastoral Council is a consultative body whose policies and decisions require the authority of the pastor to become effective. Its function is established under the Pastoral Council guidelines of the Diocese of Raleigh. In responding to the Lord who has called the parish to be a community of faithful disciples, council members are challenged to ongoing renewal through prayer, study, listening, and dialogue. In working with the pastor to develop priorities and directions for the parish, the council is to become the means of achieving full participation by the whole parish community in its mission by giving all a voice in assisting the pastor in his guidance and direction of parish life. Please refer to the current bulletin for the next Pastoral Council Meeting. The goal of the Parish Pastoral Council is not imply to serve the members of the parish, but to work with the pastor to develop a common vision and purpose, actively advocate for the poor and the powerless, and extend Christian commitment to the surrounding neighborhoods and communities. Toward that end, a statement of mission for the parish community is orchestrated by this body and becomes the reference point for activity in the parish. To provide a structured way for laity, religious, and priests to coordinate, encourage, promote, and participate in the apostolic and spiritual work of the parish. To provide a continuous and integrated survey of the spiritual and temporal needs of the parish and the community. They should work closely with the pastor to develop and implement programs aimed at meeting these needs. To serve as a permanent structure for construction dialogue among priests. , religious, and laity of the parish so that all can work in close cooperation as a truly Christian community, fulfilling the mission of Christ. To show by example how the total parish community, working together, can promote the kingdom of Christ and proclaim His Gospel. The Social Justice Committee provides education on Catholic Social Teaching and, based on those teachings, organizes activities to address long-term problems in our community. Advocacy, e.g., for reducing homelessness in Brunswick County. 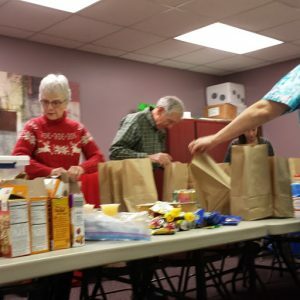 Committee and a few other volunteers assembling Breakfast-Lunch bags for those in Winter Sheltering program last year.